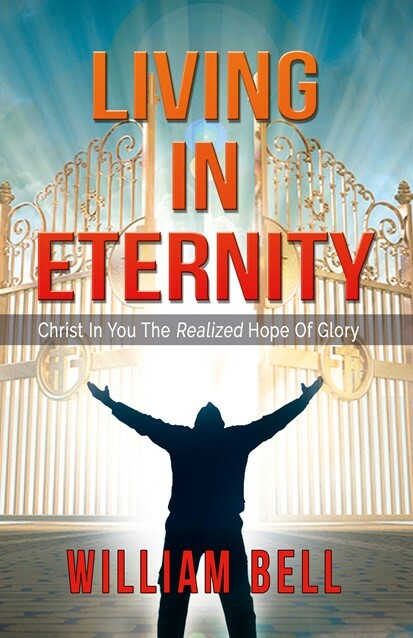 Living in Eternity Christ In You The Realized Hope of Glory by William Bell. (Paperback). 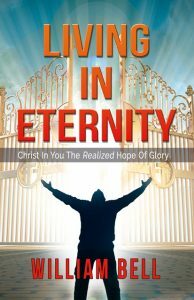 Inspired by the text in Colossians 1:27, Living in Eternity is a great intermediate study on The Coming of the Lord, the Gospel Dispensation of Ephesians, Miracles and the time of the end, 2 Peter 3, Resurrection and the Eternal Rest. Many who have read this book have appreciated the simplicity and clarity. They are able to see how various themes of eschatology fit together giving them the tools and resources to build on that foundation. The second on miracles is an excellent critique of the charismata (continual spiritual gift movement). This book is great for small study groups, private and public Bible classes. Order today. Great intermediate study on The Coming of the Lord, the Dispensations of Ephesians, Miracles and the time of the end, 2 Peter 3, Resurrection and the Eternal Rest. Many who have read this book have appreciated the simplicity and clarity. They are able to see how various themes of eschatology fit together giving them the tools and resources to build on that foundation. The second on miracles is an excellent critique of the charismata (continual spiritual gift movement). This book is great for small study groups, private and public Bible classes. Order today.